Over my years as a leader in various companies, I’ve attended a lot of offsite all-hands meetings. They come in all shapes and sizes, but the goals are always similar: bring people together, build relationships, collaborate, create momentum for the mission, celebrate successes, and of course have some fun. I also know how much planning, logistics and money go into making one of these events happen. But after getting together with 100-plus fellow Thoughtexchangers in North Vancouver, British Columbia recently for our biannual all-company meeting, I’ve found myself rethinking that answer. 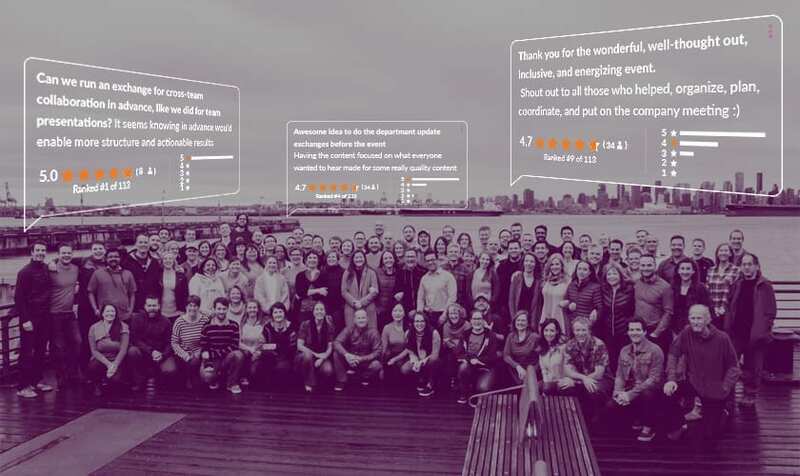 We used Thoughtexchange software throughout the meeting process—from planning, to interactive participation and feedback—to engage our people and quickly learn what mattered to them. And then we used their input to shape the meeting, along with our direction forward. Reflecting on this experience has made me realize there are more questions I should have been asking to measure success through those years of all-hands meetings: Did you connect with the extroverts? What do introverted individuals care about? What really matters to each team or group within the company? How can a busy leader engage everyone? So what, right? Why do those things matter? Well, we all know the massive cost of attrition. We also know that people leave leaders. And we know that people and talent are some of the main reasons companies succeed or fail. So when I think about my mentor’s advice from the perspective of retention, and after experiencing a Thoughtexchange event, it all makes sense. The world is moving so fast (warp speed, Captain!). And today’s leaders are so busy they barely have time to reflect, let alone ask others to share their thoughts. And this person isn’t alone. It’s a predicament many leaders face. Hearing from everyone is a critical part of moving the business forward and growing. And leaders will always be busy. It can seem impossible for them to find the time to hear from everyone, so they might end up not engaging anyone. But I’ve learned, through Thoughtexchange, that it doesn’t have to be this way. How to use Thoughtexchange to get the most from your next all-hands meeting. This was my first time as part of a Thoughtexchange all-hands meeting, and I got to help create an event that had a truly inspiring effect across the company. I know it was inspiring because we used Thoughtexchange to reach out to (literally) everyone in the company afterwards and let them confidentially exchange thoughts on this question: What feedback do you have on the Jan. 2018 all company meeting? 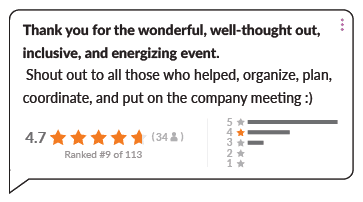 Getting open and honest feedback on our event from everyone who attended is just one way we use Thoughtexchange to get maximum value, build energy and inspire people at our all-hands meetings. 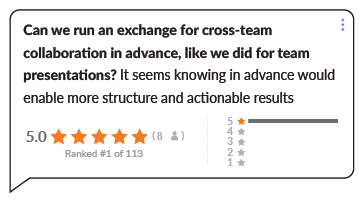 I’m excited about how I saw us using our creation to help make our meeting better, so I wanted to share some of the ways you can use Thoughtexchange to bring people together and make progress in real time at your next meeting. Planning – Our team is distributed across hundreds of miles and where we meet up is always a major question. We ran an exchange months before the event offering people some options for potential locations. It turned out to be a pretty divisive issue! While we didn’t come to a consensus, we were able to find out everyone’s interests and talk about what we learned as a company at our monthly virtual meeting. Being transparent and letting people know they were heard created support for our final decision. 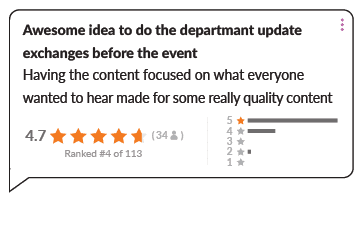 Content – Instead of having leadership decide what would be covered in the department updates, leaders ran a series of exchanges across the whole company so people could share and prioritize what they wanted to learn about each of the departments. This let department heads tailor their presentations to deliver content they knew people wanted. Tough conversations – Workplace sexual harassment is a large, ongoing public conversation right now. And, like many companies, it’s been on our minds here at Thoughtexchange. We held a session on sexual harassment at our meeting and used an exchange to let people confidentially share their thoughts and help shape our company policy. It’s a hard issue to talk about, no matter how you approach it. Our software made it possible by letting us approach the topic in an inclusive and relatively safe way. Inclusion and insight – We used Thoughtexchange live in a room to gather and prioritize the thoughts of more than 100 people in real time, multiple times throughout the event. Along with the energy in the room created by collectively participating in the exchanges, we were able to let people share what they thought on the important topic of the moment. The exchanges yielded actionable data that leadership can use to make progress. Wrapping up the event afterwards with the feedback exchange fuels our efforts to continually improve our events and make them even more energizing, inclusive, relevant and productive. Thanks for your time and feel free to reach out to me at stories@thoughtexchange.com or directly on LinkedIn and share any stories you might have from your experience with all-hands meetings. Vice President of Revenue Jayme is responsible for the Sales, Marketing, Customer Success and overall Go to Market (GTM). Jayme is passionate about Thoughtexchange because the power to engage communities and corporations with the right insight creates momentous change. 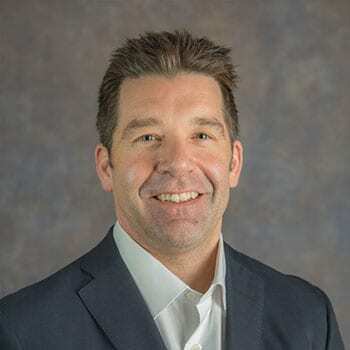 Prior to Thoughtexchange, he has successfully built and scaled high performance teams by leveraging systems and processes to ensure the customer is at the heart of any decision. Outside of Thoughtexchange, Jayme enjoys the outdoors with his wife Tove, their sons Henning and Maro and their two dogs, Caesar and Gertrude. Jayme is active in philanthropic efforts and supports the Strachan Hartley Legacy Foundation www.shlf.ca where he raises donations for local charities to make a difference in the lives of youth through sport and education.